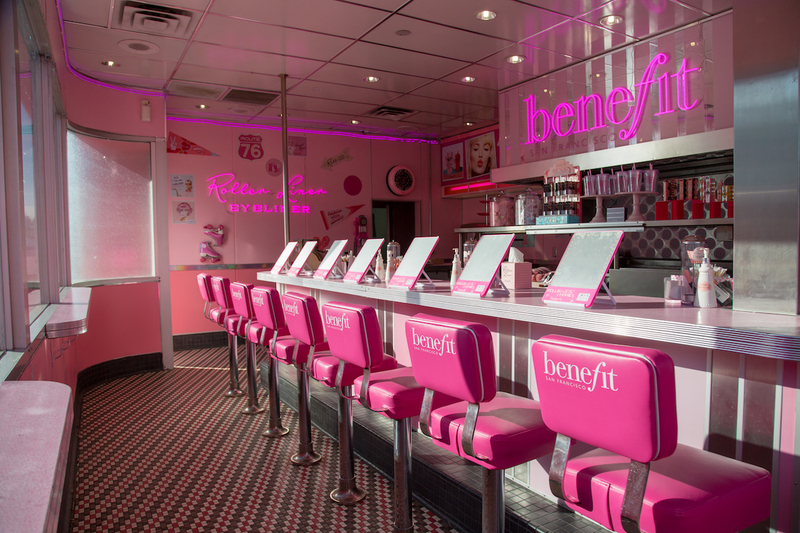 Line and dine at the Benefit Cosmetics Roller Liner Diner pop-up. They’ve taken over a classic diner at 7507 Melrose Ave – and Benefit-ized it from the outside in. The diner is open to the public until January 21 from 11 a.m.-6 p.m. every day. Guests can walk in or make reservations via OpenTable. Benefit’s newest product, Roller Liner, will be available for purchase, as well as its best-selling brow products and exclusive merch. Ice cream sandwiches and cones from The Milk Shop will be provided to the public with any purchase. And, of course, there will be roller-skating servers. Make a reservation and don’t forget to bring your phone — there will be tons of photo ops for Instagram-inclined guests, from an old-fashioned motorcycle to a kitchen sink overflowing with pink bubbles!